FREE Patriot Music Mix just in time for the 4th of July! Level Up Music, the top martial arts class music and musical forms creator, has teamed up with Hyper for a musical forms challenge. Upload a video of you and your friends doing the Hyper Form 1 to the special Level Up Hyper Form 1 Music Mix and you could win the Level Up/Hyper Prize Pack. Top 10 Workout Songs to Start the New Year! The ultimate hustler, mentor, and motivator has worked with our djs to come up with the perfect mix for any workout! Nick D has hand selected each song in this mix to help motivate you and your students as you go to work! As always, this mix is completely clean and family friendly (no curse words or drug/alcohol references). Stream on! 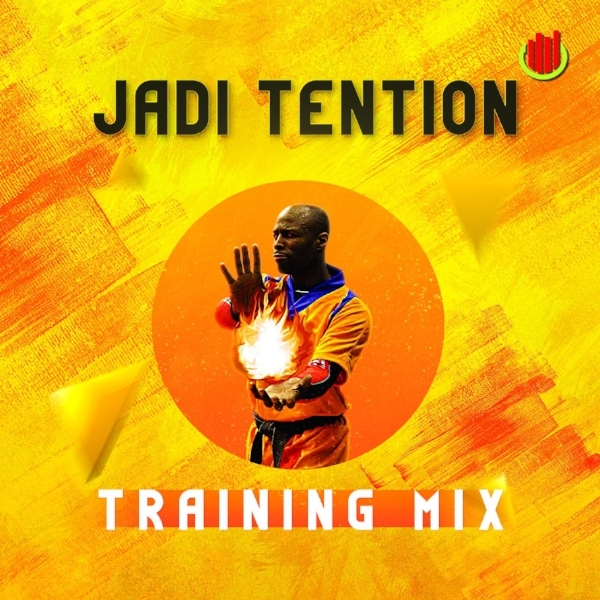 Free Jadi Tention Training Music Mix! Check out this creative new way for your students to train combos! As a martial arts instructor, we are always looking for new ways to disguise repetition. Many of you are familiar with different games and drills that help to accomplish this. Well, Level Up Music, has taken this idea to a completely new place with their Level Up Fighting Challenge. The Level Up Fighting Challenge is an interactive drill with music that creates a unique experience for your students. It is great for all ages including adults and will help your students to feel like they are fighting a UFC match in the main event. They have designed the drill to not only be extremely fun, but your students will definitely be out of breath by the end of it as well. They even hired broadcaster, Scott Cole who has worked with ESPN, The NFL Network, and now is the commentator for the National Champion, Clemson Tigers, to give you the play-by-play as your students perform their combos. Check out this video, to see Level Up Music's Owner, Adam Kifer describe the drill and show you video of an actual class performing the drill. ADDED BONUS: Level Up Music is allowing you to download the music for free through the end of the month. The link will expire on January 30th at midnight. Fill out the form below to download your music mix. FREE 60 MINUTE PREVIEW OF OUR NEW LOBBY MIX! WHY DO I NEED MUSIC IN MY LOBBY? As a Martial Arts school owner, you want to create an environment that is welcoming and comfortable for your new students. I hate to break it to you, but the loud karate yells and intense faces on the mat don't really create that comfortable environment. You have to remember for many new students, this is their first experience with a martial arts school. Many new students walk through that door already nervous and second guessing themselves. It is important that you have music that not only is representative of your brand but also creates an environment where people are comfortable. Your school should be so inviting that it becomes every student's third place (Home, Work/School, Karate). Parents should want to hang around during classes and new students shouldn't be intimidated by the loud sounds coming from the mat. After much research and planning we have come up with our brand new lobby mixes and you are getting an hour mix for FREE! We have realized that this is something that is missing from our industry and our goal and now we have a great solution for it. Our team has carefully designed the perfect mixes to help create the atmosphere that you want for your school. Check out a preview of the free Lobby Mix Below! FREE PATRIOT MIX JUST IN TIME FOR THE 4TH OF JULY!